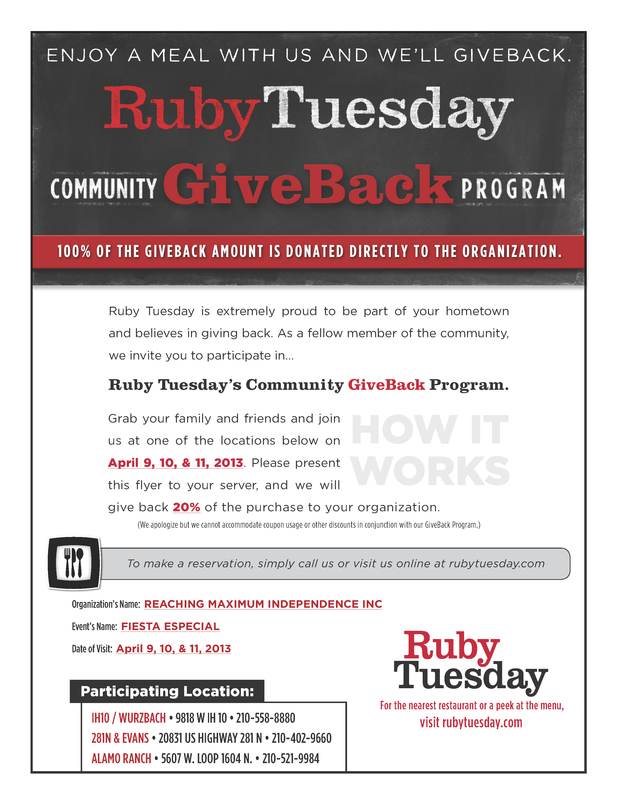 Ruby Tuesday is extremely proud to be part of your hometown and believes in giving back. As a fellow member of the c o m m u n i t y, we invite you to participate in...Ruby Tuesday’s Community GiveBack Program. April 9, 10, & 11, 2013. Please present this flyer to your server, and Ruby Tuesday will give back 20% of the purchase to Reaching Maximum Independence, Inc.
• Print and Hand out your event-specific flyer to everyone you know!